Представлен случай торпидного течения олигоартикулярного ювенильного идиопатического артрита (ЮИА) и успешного применения растворимых рецепторов к фактору некроза опухоли альфа (ФНО) α — этанерцепта — при его лечении. Уже после 4 нед терапии у пациента нормализовались лабораторные показатели активности болезни, уменьшились длительность утренней скованности и выраженность воспалительных изменений в суставах; через 3 мес купировались островоспалительные изменения в суставах, через 6 мес восстановилась функциональная способность пациента; через 9 мес зарегистрирована лекарственная ремиссия болезни. 1. Landells I., MacCallum C., Khraishi M. The role of the derma tologist in identification and treatment of the early stages of psoriatic arthritis. Skin Therapy Lett. 2008; 13 (4): 4–7. 2. Brewer E.J. Jr, Bass J., Baum J. Current proposed revision of JRA criteria. Arthritis Rheum. 1977; 20 (Suppl. ): 195. 3. Szer I. S., Kimura Y., Malleson P. N., Southwood T. R. Arthritis in children and Adolescents. Juvenile Idiopathic Arthritis. Oxford University Press. 2006. 456 p.
4. 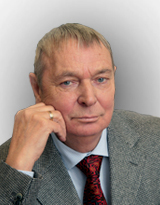 Алексеева Е. И., Литвицкий П. Ф. Ювенильный ревматоидный артрит. Этиология, патогенез, клиника, алгоритмы диагностики и лечения. М.: Веди. 2007. 360 с. 5. Cassidy J. T., Petty R. E., Laxer R. M., Lindsley C. B. Textbook of pediatric rheumatology. 6th edn. Philadelphia: Saunders Elsevier. 2010. 794 p.
6. Lee D. M., Weinblatt M. E. Rheumatoid arthritis. Lanсet. 2001; 358: 903–911. 7. Karateev D. E. Modern approach to the problem of rapidly rheumatoid arthritis. Current rheumatology. 2010; 2: 37–42. 8. Sigidin Ya. A., Lukina G. V. Biologicheskaya terapiya v revmatologii. 2-e izd., dop. [Biological Therapy in Rheumatology. 2nd edn, enlarged]. Moscow: Prakticheskaya Meditsina. 2009. 245 p.
9. Bergman M., Furfaro N. Individualizing therapy for rheumatoid arthritis: New strategies for maximizing treatment outcomes. 2010 PCE Updates in Rheumatology. 2010; 3 (2): 1–12. 10. Smolen J., Aletaha D., Bijlsma J. W. J. et al. Treating rheumatoid arthritis to target: recommendations of an international task force. Ann. Rheum. Dis. 2010; 69: 631–637. 11. Алексеева Е. И., Слепцова Т. В., Валиева С. И. Эффективность и безопасность инфликсимаба у больных ранним и поздним ювенильным ревматодиным артритом. Вопросы современной педиатрии. 2010; 9 (3): 30–42. 12. Abe T., Takeuchi T., Miyasaka N. A multicenter, double-blind, randomized, placebo controlled trial of infliximab combined with low dose methotrexate in Japanese patients with rheumatoid arthritis. J. Rheumatol. 2006; 33 (1): 37–43. 13. Van der Laken C. J., Voskuyl A. E., Roos J. C. Imaging and serum analysis of immune complex formation of radiolabelled infliximab and anti-infliximab in responders and non-responders to therapy for rheumatoid arthritis. Ann. Rheum. 2007; 66: 253–256. 14. Bukhari M. A., Wiles N. J., Lunt M. et al. Influence of diseasemodifying therapy on radiographic outcome in inflammatory polyarthritis at five years: results from a large observational inception study. Arthritis Rheum. 2003; 48: 46–53. 15. Алексеева Е. И., Григорьева А. А., Денисова Р. В. Причины развития резистентности к ингибиторам ФНО a и пути ее преодоления. Вопросы современной педиатрии. 2009; 8 (6): 42–47. 16. Алексеева Е. И., Лисицын А. О., Карагулян Н. А. Адалимумаб: новые возможности лечения ювенильных артритов. Вопросы современной педиатрии. 2009; 8 (3): 88–94. 17. Lovell D. J. еt al. Etanercept in children with polyarticular juvenile rheumatoid arthritis. Pediatric Rheumatology Collaborative Study Group. N. Engl. J. Med. 2000; 342 (11): 763–769. 18. Papsdorf V., Horneff G. Complete control of disease activity and remission induced by treatment with etanercept in juvenile idiopathic arthritis. Rheumatology (Oxford). 2011; 50: 214–21. 19. Otten M. H., Prince F. H., Armbrust W. et al. Factors associated with treatment response to etanercept in juvenile idiopathic arthritis. JAMA (Multicenter Study Research Support, Non-U. S. Gov’t). 2011; 306: 2340–2347. 20. Lahdenne P., Vahasalo P., Honkanen V. Infliximab or etanercept in the treatment of children with refractory juvenile idiopathic arthritis: an open label study. Ann. Rheum. Dis. 2003; 62: 245–247. 21. Lamot L., Bukovac L. T., Vidovic M. et al. The ‘head-to-head’ comparison of etanercept and infliximab in treating children with juvenile idiopathic arthritis. Clin. Exp. Rheumatol. 2011; 29: 131–139. 22. Horneff G., Ruperto N., Burgos-Vargas R. et al. Effectiveness and safety of etanercept in paediatric subjects with extended oligoarticular juvenile idiopathic arthritis, enthesitis-related arthritis, or psoriatic arthritis: the clipper study. Ann. Rheum. Dis. 2012; 71 (Suppl. ): 424. 23. Horneff G., Schmeling H., Biedermann T. et al. The German etanercept registry for treatment of Juvenile Idiopathic Arthritis (JIA). Ann. Rheum. Dis. 2004; 63: 1638–1644. 24. Horneff G., De Bock F., Foeldvari I. et al. Safety and efficacy of combination of etanercept and methotrexate compared to treatment with etanercept only in patients with Juvenile Idiopathic Arthritis (JIA). Preliminary data from the German JIA registry. Ann. Rheum. Dis. 2009; 68 (4): 519–525. 25. Tanjala P., Vahasalo P., Honkanen V. et al. Drug survival of the first and second course of anti-tumour necrosis factor agents in juvenile idiopathic arthritis. Ann. Rheum. Dis. 2009; 68: 552–557. 26. Simonini G., Katie D., Cimaz R., Macfarlane G. J., Jones G. T. Does switching anti-TNF a biologic agents represent an effective option in childhood chronic uveitis: The evidence from a systematic review and meta-analysis approach. Semin. Arthritis Rheum. 2014; 44.